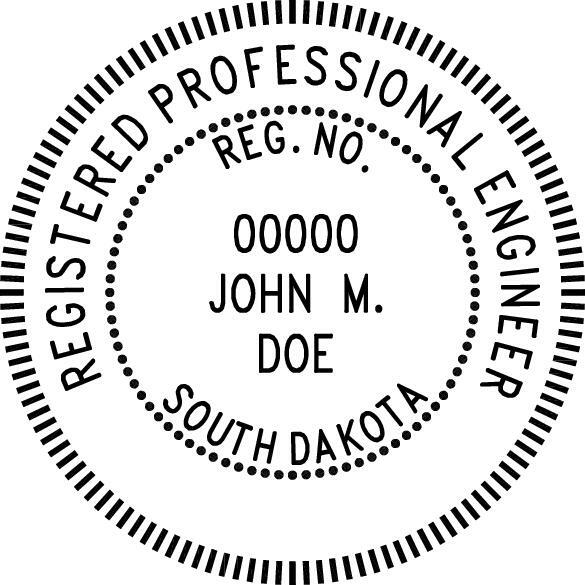 The state of South Dakota requires the professional engineer stamp to be at least 1 inch in diameter and no larger than 2 inches in diameter. 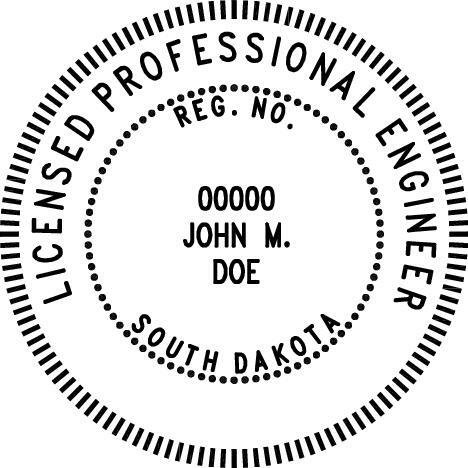 We offer the South Dakota professional engineer stamp in three sizes; 1 inch, 1 1/2 inch, and 2 inches. In case you have any questions on the South Dakota professional engineer stamp requirements or any other regulatory questions, we have included the South Dakota Engineer boards contact information below for your convenience.